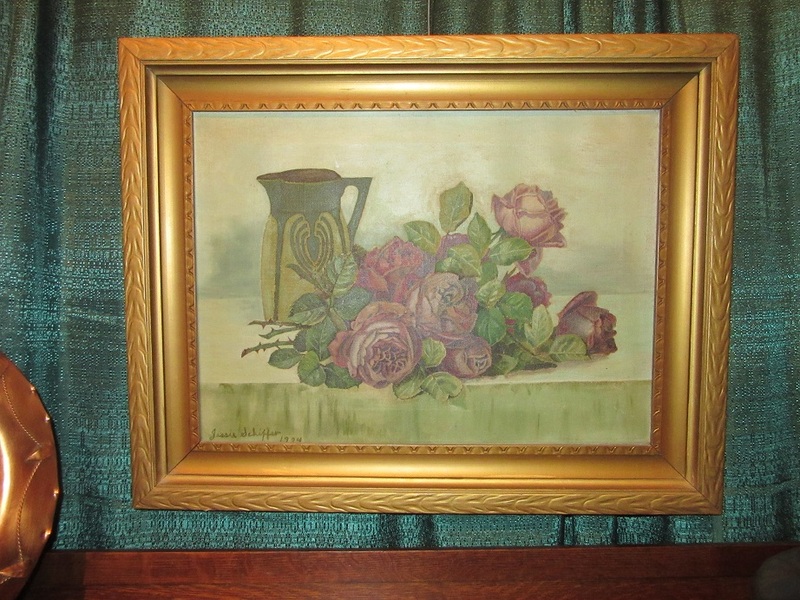 Still life oil painting of dark pink roses lying near a green pitcher. 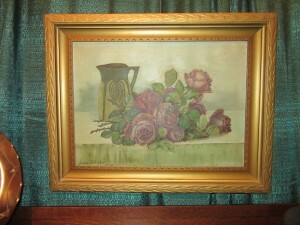 The vintage frame is original and in good condition. Signed in the lower left corner “Jessie Shipfer, 1924′.